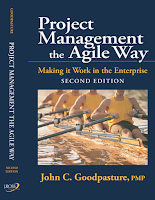 Leading Answers is one of those sites that more or less specializes in the PMI-ACP exam (there's a lot of other agile stuff there also). They're in the business to sell stuff, but from time to time they offer freebies, as in a recent posting of a sampler of PMI-ACP questions. 1) Where is your team most likely find the first warnings of potential problems? 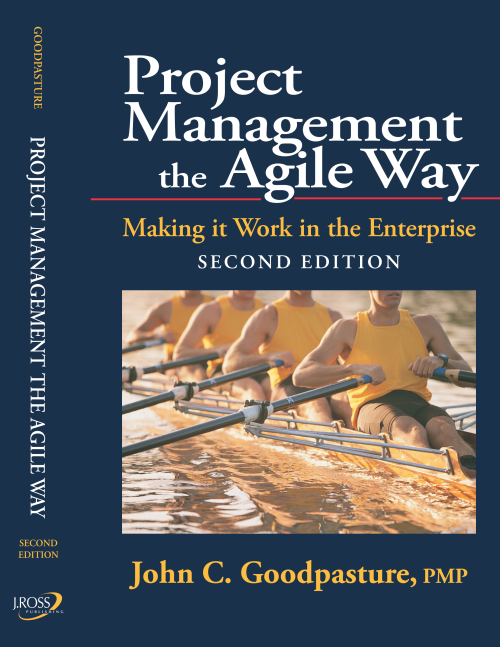 2) Your upcoming project will be the organization's first use of agile, and the sponsor asks you about tailoring the new methodology. How do you respond? Customizing the methodology upfront will allow us to streamline the adoption process. Adapting the new methodology will be a good way for the team to learn about agile practices. The team should become comfortable with the new methodology before we consider changing it. We should wait to adjust our practices until we see where the team runs into difficulties applying them. 3) Although your team has completed their last iteration, it hasn't been "approved." What does this mean? The team still needs to do refactoring and user testing. In trying out the product increment, the customer thought of another feature to add to the backlog. In the demo, the customer decided that the team hadn't completed one of the items selected from the backlog for that iteration. The product increment hasn't passed QA testing.